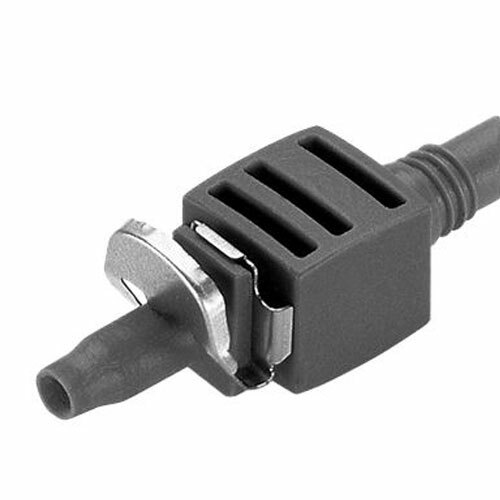 Gardena ® 4.6mm Connector Pack of 10 are designed to compliment the patented Gardena ® Micro-Drip Irrigation System. 4.6mm (3/16") connector serves to join and extend a run unifying two 4.6mm connecting supply pipes on a micro-drip irrigation system. The Gardena patented "Quick & Easy" connection technology ensures especially easy installation.